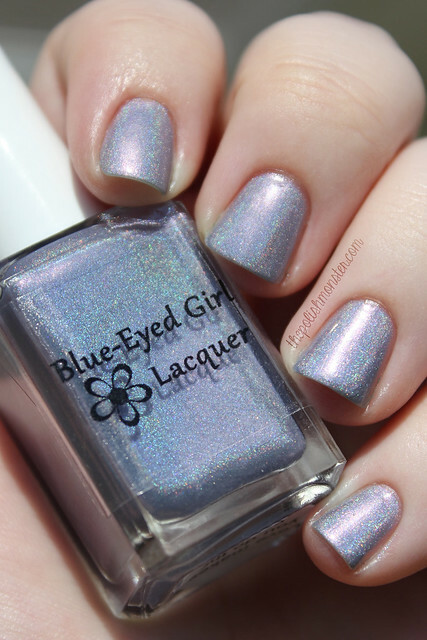 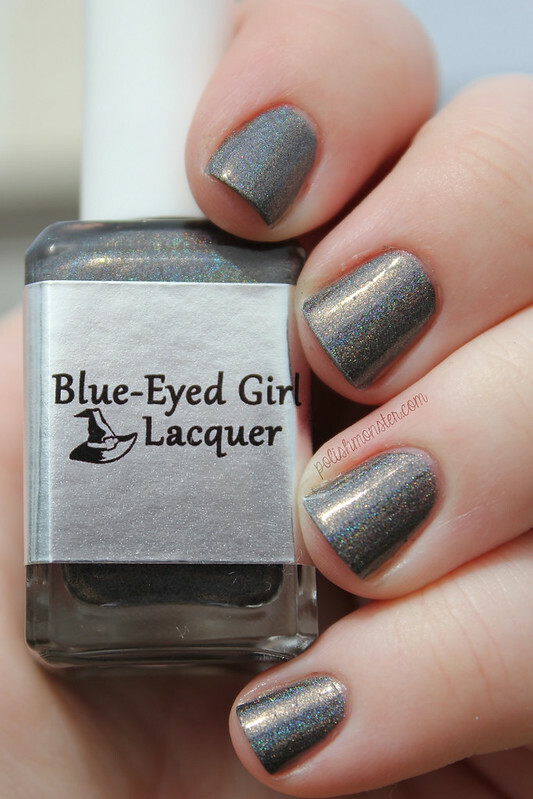 Today I’m going to show off a BEAUTIFUL polish- Blue Eyed Girl Lacquer Monster’s Tea at Tiffany’s! 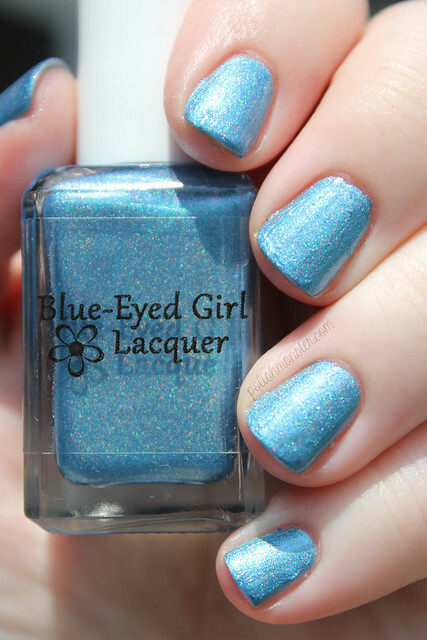 Julie made this gorgeous mint polish for me as a surprise birthday present, and then decided to sell it in her store! 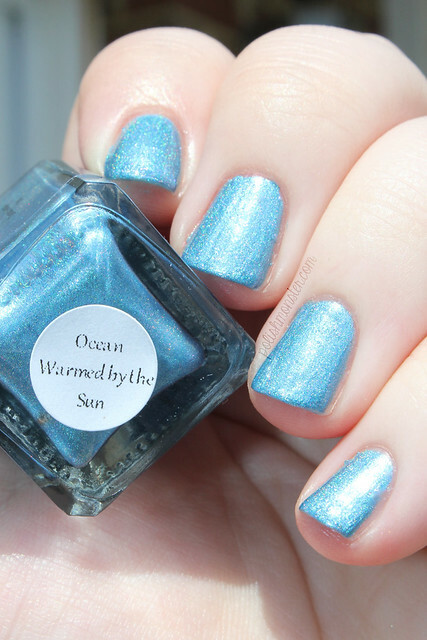 So though it began as a custom, now everyone can enjoy it! 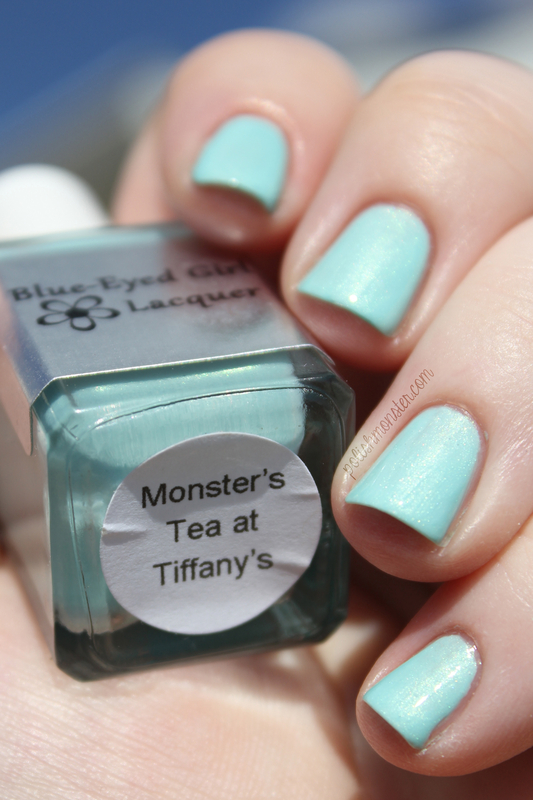 Monster’s Tea at Tiffany’s is a pretty mint green/Tiffany blue that has a gorgeous bright green shimmer. 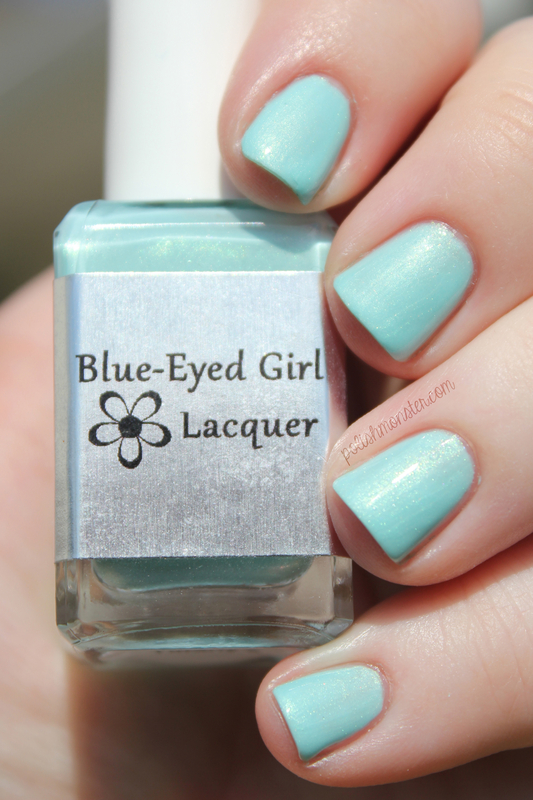 Simple, gorgeous, and a bit different from a lot of other Tiffany blue polishes out there. 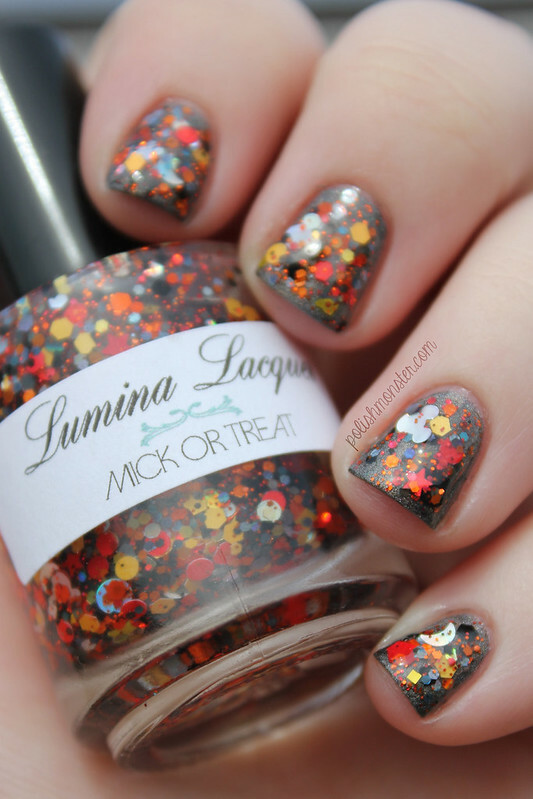 I used 2 coats and Out the Door topcoat for these photos. 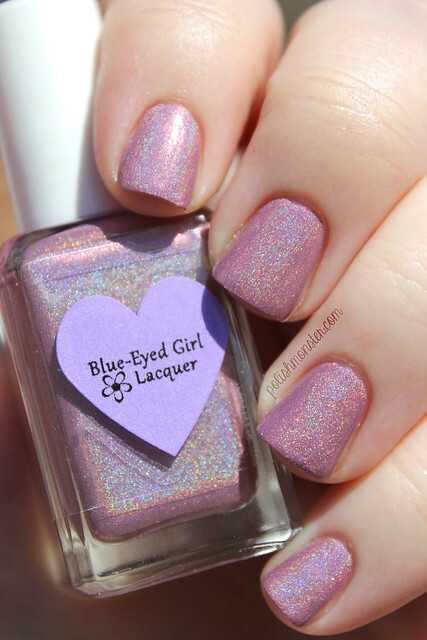 Application was great, the polish went on smoothly and I didn’t have any issues. 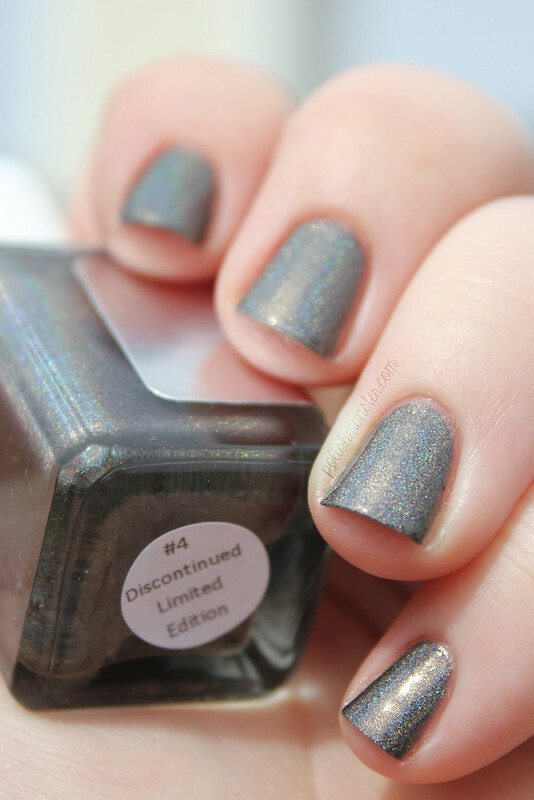 While the shimmer is a bit subtle due to the color, it’s also obvious- it doesn’t hide indoors and is always noticeable (does that make sense? 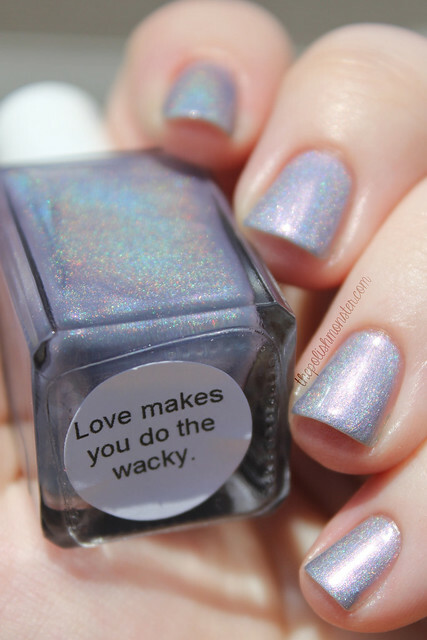 It does in my head!). 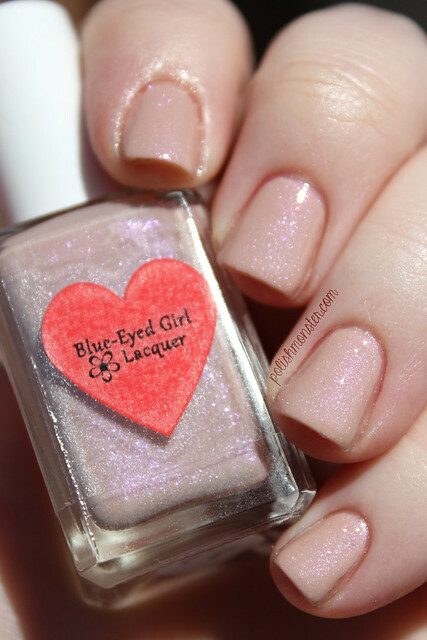 You can follow Wishes of a Blue Eyed Girl via her blog, her Facebook page, Twitter, and Instagram! 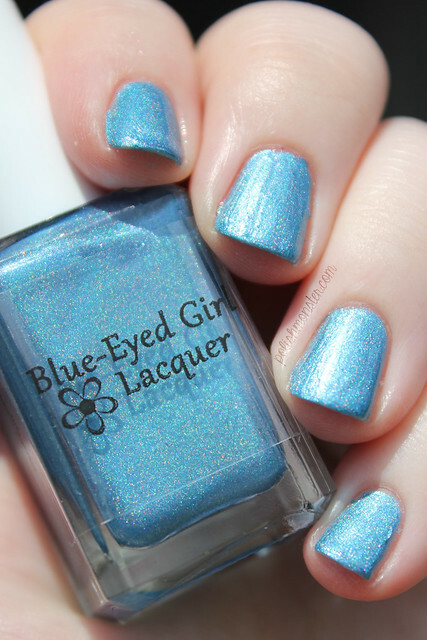 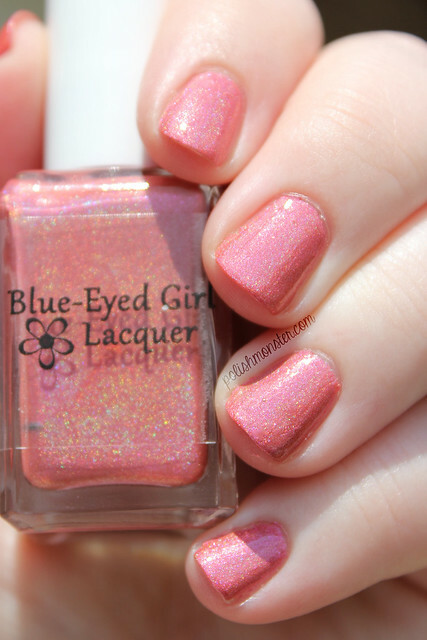 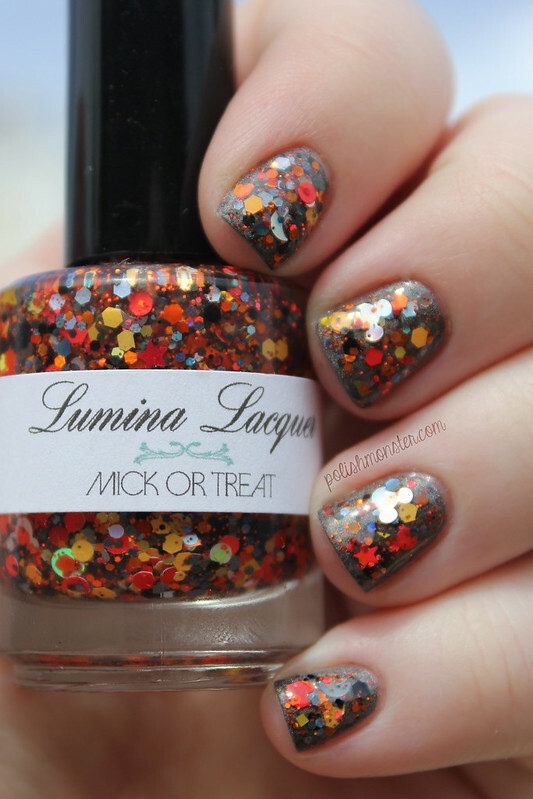 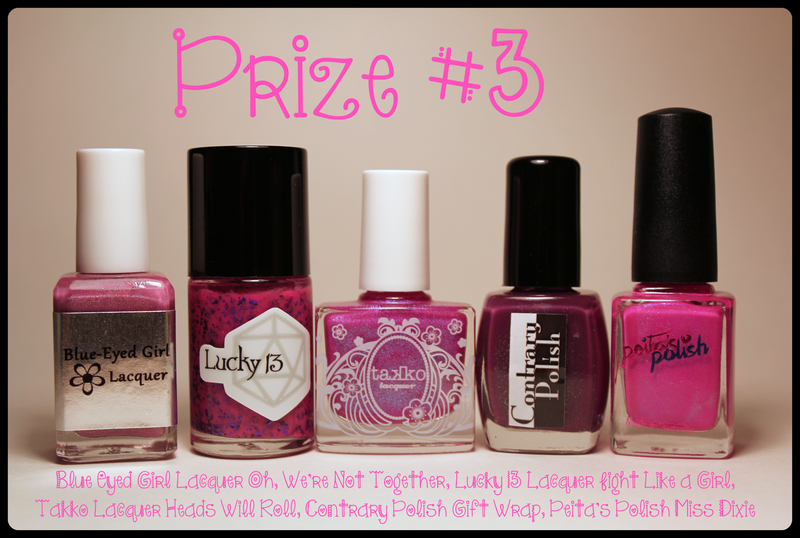 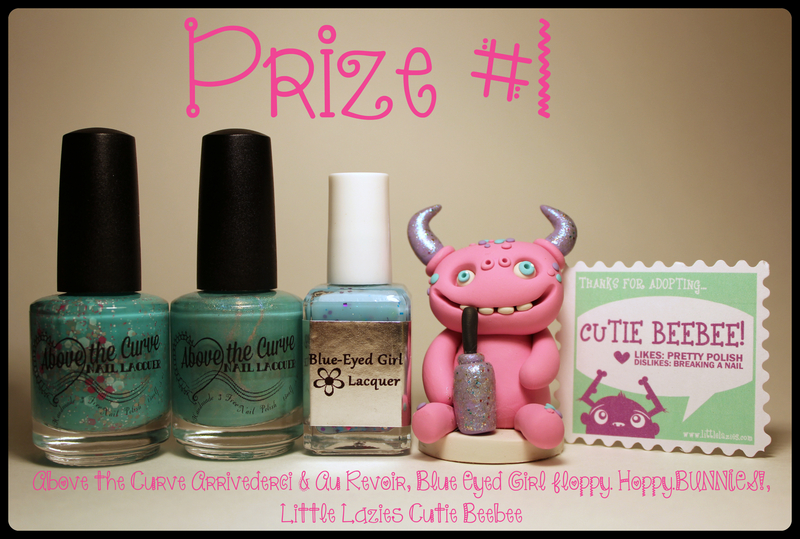 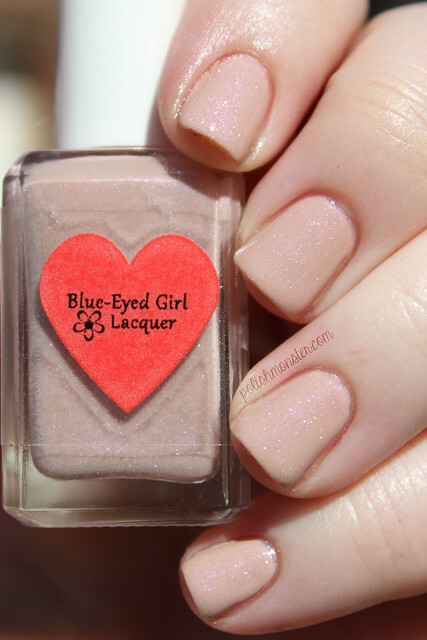 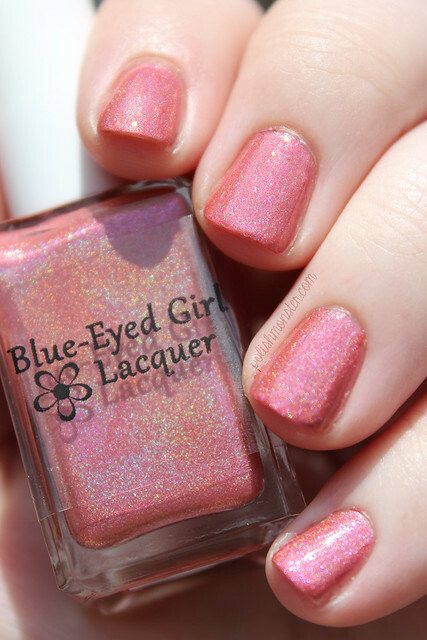 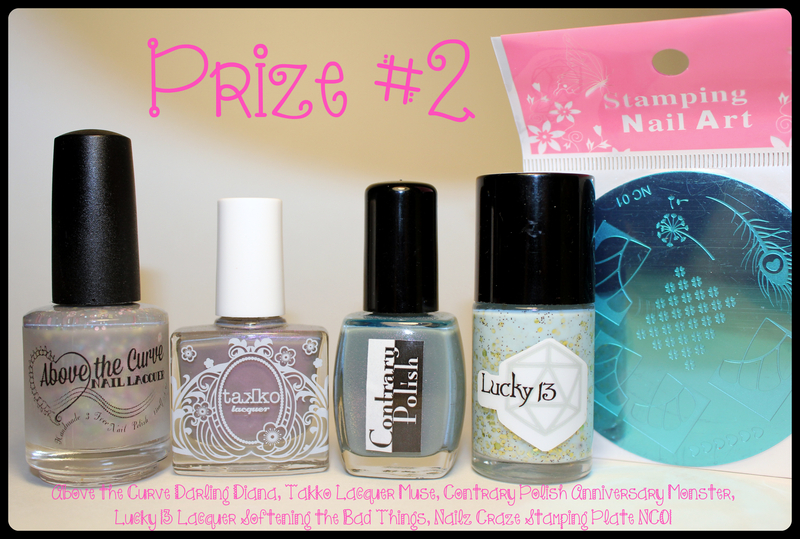 To follow her polish line, check out Blue Eyed Girl Lacquer page and her Big Cartel page! 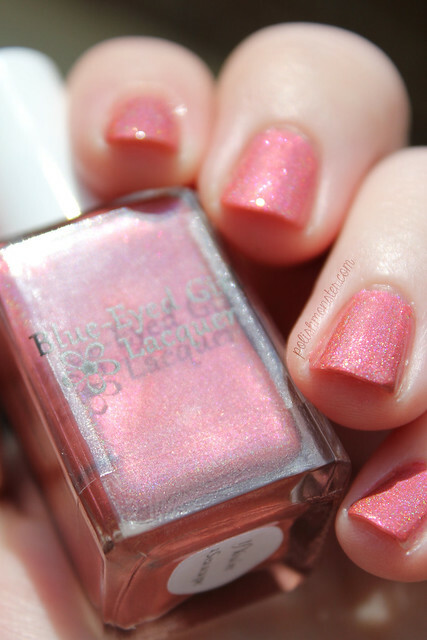 Prices range from $8.00 to $10.00 per bottle.